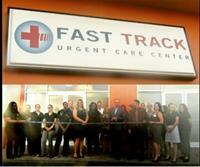 Fast Track Urgent Care Center is committed to delivering after hours care in a comfortable, clinic setting. Unlike an emergency clinic or room, our office is focused on the patient experience; in addition to the immediate care that is needed. While we see the lacerations, cuts, colds, sinus infections, strep throats, and broken bones that can get in the way of everyday living, we do so in an environment designed around the patient. By pairing the walk-in convenience of the ER with a friendly staff, we have created an urgent care clinic with the feel of a family medical clinic. At Fast Track Urgent Care Center, a board-certified provider sees every one of our patients. 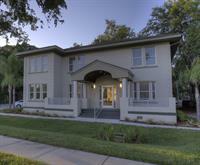 Our doctors are trained in the care of both children and adults, and each has experience in the urgent care setting. Our providers have chosen urgent care as a profession and work solely in our offices. By having the same group of physicians working closely together, we are able to render consistent care to our patients, much the same way a primary care doctor would. 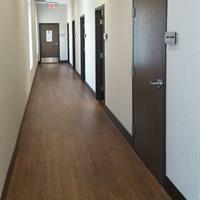 Unlike a typical after hours clinic, we provide quality healthcare during normal business hours, too. We see many patients with non life-threatening illnesses who either do not have primary care physicians or cannot get in to see their general practitioners. These patients are able to turn to us to receive treatment for strep throat, ear infections, fevers, and other illnesses in a timely manner. Many patients visit us rather than an emergency clinic to receive treatment for minor injuries as well.